IPCC is striving to save the bogs. We have already bought six bogs which are now nature reserves and we plan to buy more. You can be part of this campaign by buying a symbolic share certificate in an acre of Irish bog. You can buy a share certificate in an acre of bogland for yourself or you can purchase it as a gift for any occasion. Your action will help to save the bogs of Ireland for future generations to enjoy. 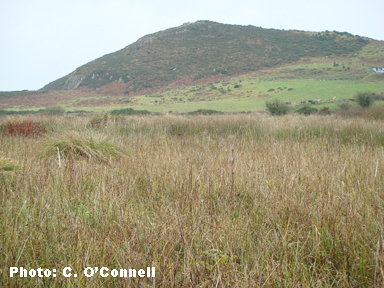 Fenor Bog in Co. Waterford was purchased by selling symbolic share certificates. Visit Fenor Bog. You will be issued with a commemorative certificate and a book on bogs with every acre or part acre you purchase. If you would like to sponsor an acre of Irish bogland as your contribution to the Save the Bogs Campaign, please follow this link to the Good Natured Gifts section of the IPCC’s Nature Shop. If you need further information please contact us at Irish Peatland Conservation Council, Bog of Allen Nature Centre, Lullymore, Rathangan, Co. Kildare. Email: bogs@ipcc.ie; Tel: +353-45-860133.